The UV FAB Pink n Black Blob has a stimulating colour combination that attracts fish. It is a killer pattern when fished singly or as part of a team of flies and is equally effective from the bank or when boat fishing. Hook : Kamasan B160 size 8. UV pink and UV black fritz. Few strands of red mirror flash. 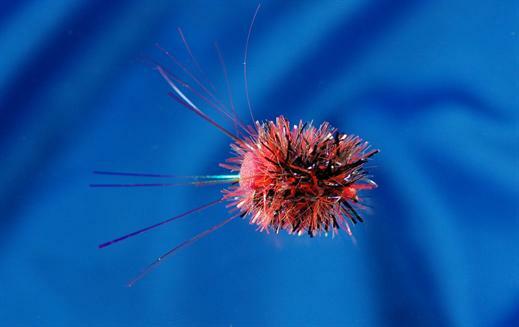 Currently there are no comments about the UV FAB Pink n Black Blob fly pattern from other fly fishermen yet.